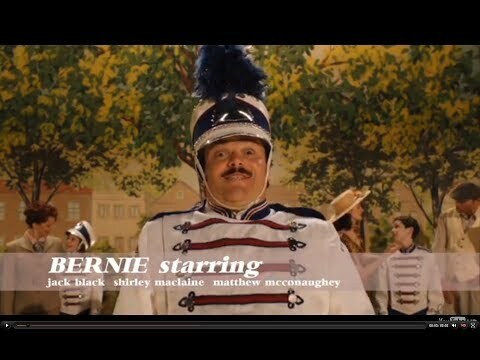 'Bernie' movie quotes include some of the most memorable lines from this dark comedy, starring Jack Black, Shirley MacLaine and Matthew McConaughey. The film is based on the real-life story of Texas widow Marjorie Nugent and her companion, mortician Bernie Tiede. When Marjorie is murdered, authorities must figure out who killed her, and why. While the story doesn't exactly sound like a comedy, the dialogue is quite funny. See a favorite quote from 'Bernie' on the list? If so, vote for it! And, if you've seen 'Bernie' and you don't see what you think is the best line from the movie listed, definitely add it. 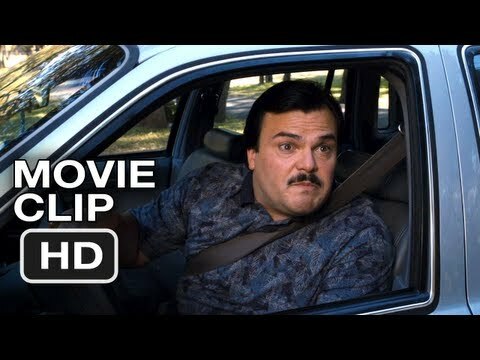 Director Richard Linklater ('Dazed and Confused,' 'Before Sunrise,' 'School of Rock') teams up once again with both Jack Black and Matthew McConaughey for 'Bernie.' The movie is definitely dark, but it's also hilarious, as Bernie Tiede goes to incredible lengths to conceal the fact that he's murdered his "friend," the super-rich Marjorie Nugent. McConaughey is the Carthage, Texas, DA who's determined to figure out what's going on, despite the fact that the town's residents are all rallying behind Bernie (they hated Marjorie). Bernie: "Can I tell you I am not fond of cremations. I just don't like the idea of someone spending eternity in something the size of a motel ice bucket." Carthage Resident: "There are people in town, honey, that woulda shot her for five dollars." When Marjorie is murdered, the town isn't exactly thrown into despair. Bernie is eventually arrested for doing the deed, with police suspecting he did it to get Marjorie's money. But as this Carthage resident points out, some people would've gladly killed Marjorie for much less than $10 million. Bernie: "Marjorie, please. I can understand chewing each bite of some food 25 times like the chicken fried steak, but I don't think you have to chew your refried beans that many times." (Marjorie continues to chew, and glare at him) "It doesn't really make sense. It's unnecessary additional work for your jaws. Think of your poor TMJ muscle -- it couldn't be good for it." (More chewing) "It's inefficient, think about it. You know this drives me crazy, please stop. This is like nails on a chalkboard to me. Okay, go ahead, chew like that, chew like that all day..."
Shirley MacLaine can say so much without saying anything at all. And as Marjorie, she's driving her new friend Bernie completely nuts. Marjorie: "Aw, just go ahead, desert me, just like everybody else! Go ahead, go ahead, go ahead, go ahead! Go, go, go, you hate me!" Here's the thing about Bernie and Marjorie: He's trying, really, really hard to be her new friend, because she's lonely and no one likes her. Or IS that the reason? Marjorie is certainly difficult, so why would Bernie try so hard?